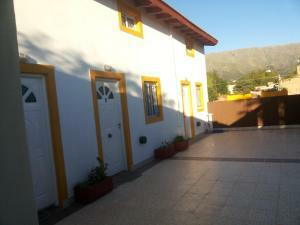 Located in Merlo in the San Luis Province region, Merlo Centro Aparts features a garden. The property was built in 2017, and has air-conditioned accommodation with a balcony and free WiFi. The 1-bedroom apartment is equipped with a living room with satellite flat-screen TV, and a fully equipped kitchen. The property also has 1 bathroom a bidet and shower. The apartment offers an outdoor pool. A barbecue is available for guests to use at Merlo Centro Aparts. When would you like to stay at Merlo Centro Aparts ? Please inform Merlo Centro Aparts in advance of your expected arrival time. You can use the Special Requests box when booking, or contact the property directly with the contact details provided in your confirmation. Guests are required to show a photo identification and credit card upon check-in. Please note that all Special Requests are subject to availability and additional charges may apply. Payment before arrival via bank transfer is required. The property will contact you after you book to provide instructions. Each day we'll check prices and send you an email for your selected dates at Merlo Centro Aparts. If you don't have specific dates but would like to check prices for say next weekend or say next month we can check the price too. 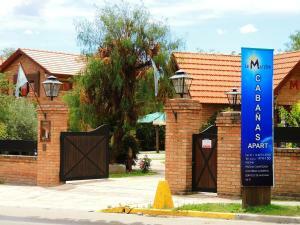 Click to write a review and share your experience of Merlo Centro Aparts with other travellers.